Now you are able to edit PDF/A files quickly and easily! Do you want to edit a PDF document on your Mac? It’s easy with eXpert PDF for Mac. However, is the PDF editable? If it is, no problem, just open your file with eXpert PDF for Mac and enjoy all the editing features available to you. If it’s not, you will need to convert it to an editable PDF first with the OCR feature in the Professional version of eXpert PDF for Mac. You will be able to recover the content (text and images) and manipulate it according to your needs. Deleting and adjusting text properties including character spacing, size, font. Resize, rotate, and compress pictures. Delete, add and edit all your images. Bates numbering is available, commonly used in professional fields such as accounting and legal documents. Easily navigate within PDF documents by managing your bookmarks. 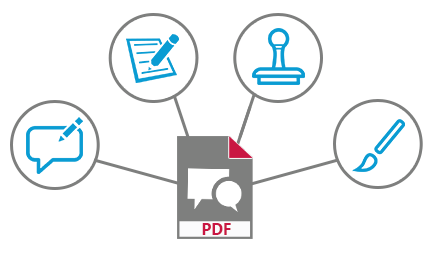 Tab function allows you to edit multiple PDF documents at the same time. Add archiving properties to your documents to make searching faster and easier (keywords, author, subject, title). 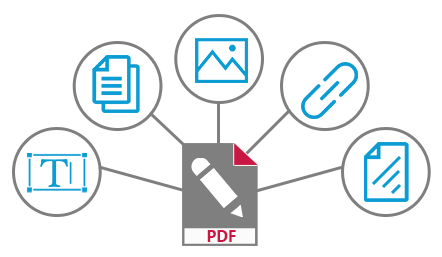 Compress a PDF file with by using the optimization tools. Insert forms manually or automatically with automatic forms recognition. eXpert PDF for Mac includes a Stamp library allowing you to add a host of predefined stamps and, if you wish, personalize them with transition effects, rotation, etc.